Despite hosting this blog on a Google service, Blogger, I am really not a fan of Google Chrome. I am a paid supporter of Mozilla FireFox and I prefer Apple's Safari. Google already has amassed a massive profile of pretty much all of us who use the Internet, that I do not want to make it any easier than it already is for them to get an even better view into how I use the Internet. If the NetMarketShare.com desktop browser usage trending is even remotely close to accurate, I may not be able to maintain my objection to Google Chrome much longer. Consider the embedded graphic above. 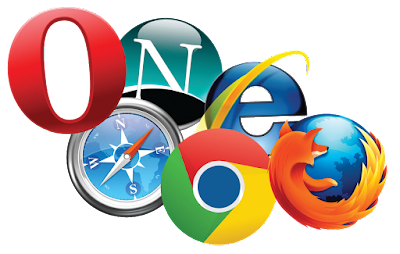 It shows that between December 2015 and March 2016 Internet Explorer dropped down to 39% from about 46% - a dead heat with Google Chrome. But looks what happens between March 2016 and June 2016. The downward trend of Internet Explorer accelerates, and as of about two weeks ago, stands at just below 32%. Some of that decline, I am sure has to do with the aggressive push by Microsoft to get anyone still using Windows XP, Windows 7, and Windows 8.1 over onto Windows 10, which we all know favors the new Edge browser. If we add Edge's 5% share to that of Internet Explorer's 32%, we get 37% vs Chrome's 49%. The bottom line here is that if there are some corporate web based tool or commercial website that is flaky or if it is not supported, it probably won't be anytime soon. As an old Vulcan proverb goes, the needs of the many outweigh the needs of the few. (Or the one.) I'm just not happy with all of the tracking and profiling.